Tukwila has a seven member City Council, each elected at-large. Elections are held in odd-numbered years, and Councilmembers are elected to four year terms. Each year in January, the Council elects a Council President who serves in this role for one year. 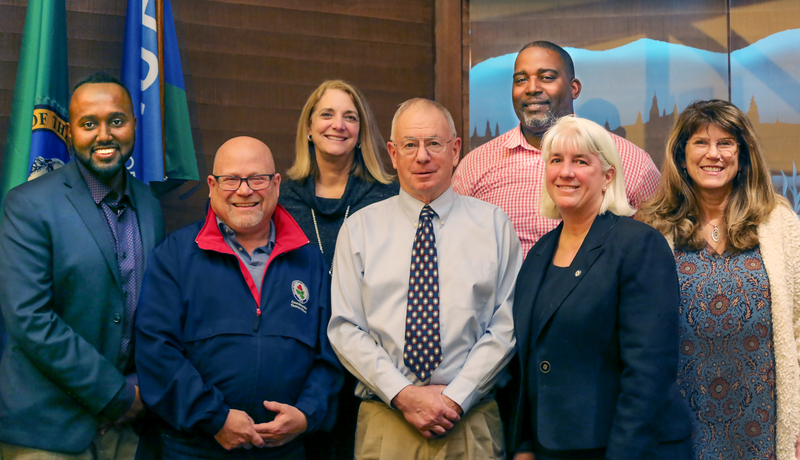 The City Council forms the legislative branch of City government, and its members are dedicated to promoting and protecting the best interests of Tukwila. As the policy-making branch of government, the City Council is responsible for passing legislation, adopting the biennial City budget, approving long-range planning documents and capital improvement programs, and other responsibilities as set forth by State law. Councilmembers also represent the City in regional intergovernmental affairs as well as through communications with state and federal legislators. Meetings of the City Council and its standing Committees are open to the public. At Regular Council and Committee of the Whole meetings, time is set aside for public comment on items both included and not included on the agenda. Residents and other City stakeholders are encouraged to attend meetings and share information with the Council.